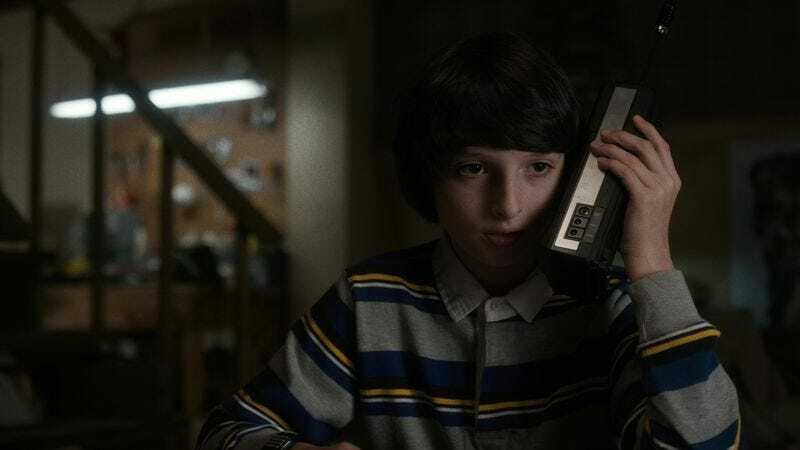 One of the many ways Netflix’s Stranger Things wears its ’80s-loving heart on its Spielbergian sleeve is in its soundtrack, which mixes a John Carpenter-influenced electronic score with period-approximate hits that help define the show’s various characters. (Radio hits accompany high-school jock Steve and his buddies, for example, while moody outcast Jonathan prefers punk rock.) The Clash’s “Should I Stay Or Should I Go,” the favorite song of the missing boy who forms the center of the show’s mystery, is played often enough that it’s practically a character on the show. Now you too can attempt to contact missing relatives in another dimension with the show’s pop soundtrack, which Netflix has handily compiled into a Spotify playlist. And it’s a pretty good one, even if it’s got a handful of songs on it that weren’t even out in 1983. (The Bangles’ cover of “Hazy Shade Of Winter,” for example, wasn’t released until 1987, ironically enough on the Less Than Zero soundtrack.) It’s called suspension of disbelief. Little kids with telekinetic powers don’t really exist either. Right?